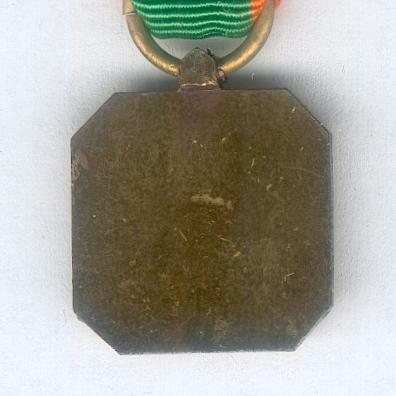 Miniature rectangular bronze medal, the corners cut, on laterally pierced lug for ribbon suspension; the face with a fouled anchor centrally, a star at each corner; the reverse plain; diameter 16.28mm (0.64 inch); on original ribbon mounted with pins for wear. 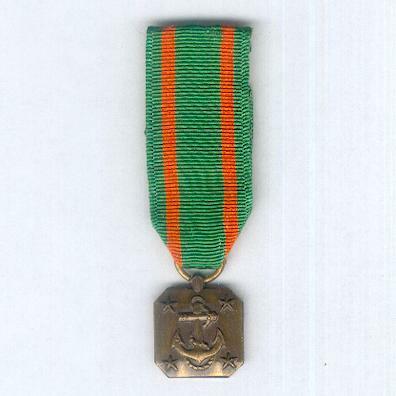 The medal was instituted on 1 May 1961 to be awarded to Navy and Marine personnel of the rank of Lieutenant Commander or Major and below for meritorious service or achievement both in combat or non-combatant roles for sustained performance or specific achievement of a superlative nature but which does not warrant a Navy Commendation Medal or higher. 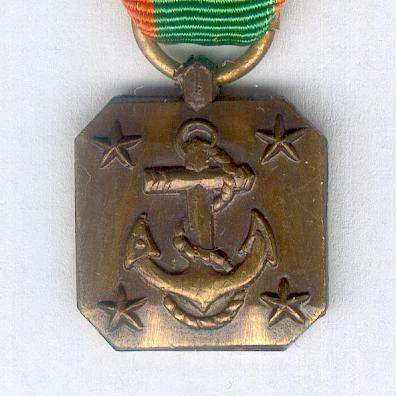 For Professional Achievement, the act or service must clearly exceed that which is normally required or expected and must be an important contribution of benefit to the United States and the Naval Service. 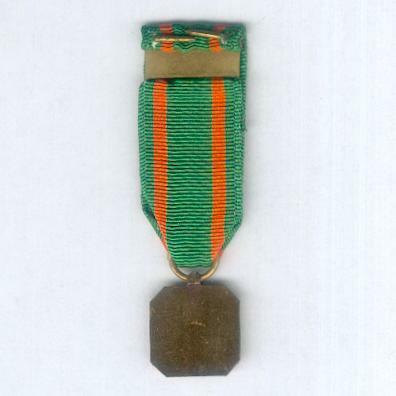 For Leadership Achievement, the act or service must be noteworthy, sustained and reflect most creditably on the efforts of the individual towards the accomplishment of the unit mission.